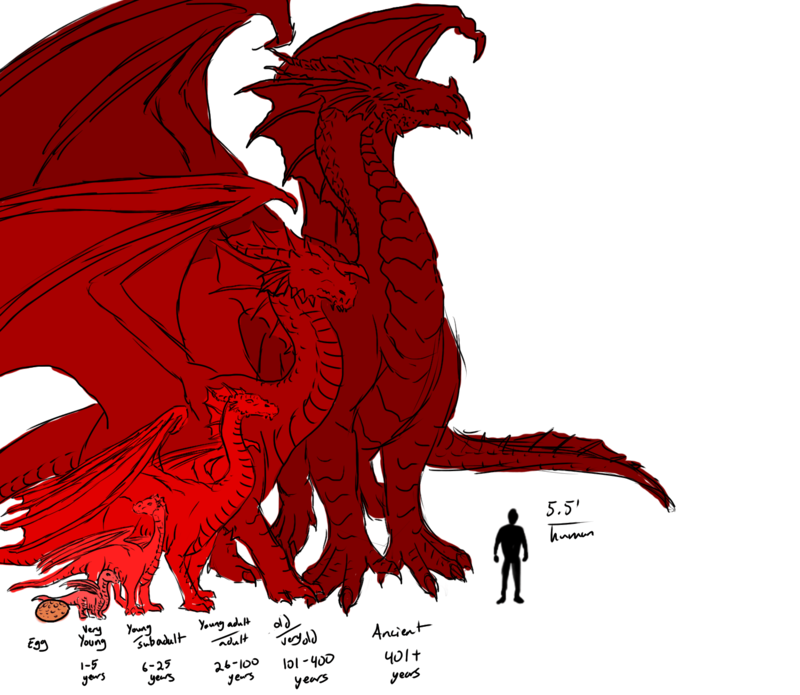 This is a great sizing chart to compare a dragons size by its age category compared to the size or a human, elf, orc or other races. These look like Dungeon & Dragon type dragons ranging from egg, very young, young, young adult, adult, old, very old and ancient. Special thanks to ladyadriela on deviantart for creating this. Also checkout the Table of Creature Size and Scale.